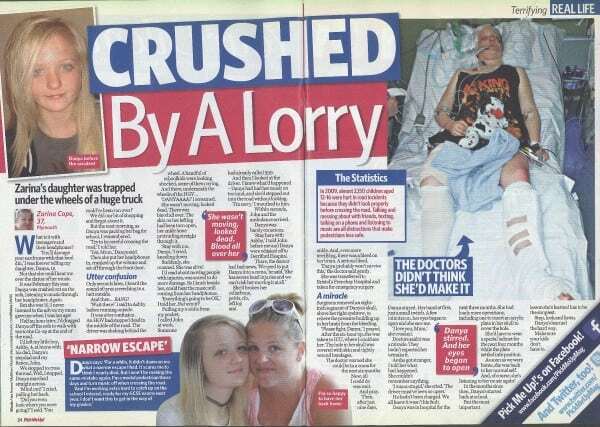 Crushed by a lorry and lost half my skull! A teenage girl will make a miraculous return to school after she survived being hit by lorry – and losing half her SKULL! Brave Danya was so badly mangled her own mother wasn’t sure if she was dead or alive as she lay trapped under the HGV’s wheels. – The 15-year-old broke her collarbone, pelvis, rib and leg and was left with a shattered bone poking out of her ankle. Her head was badly injured she was rushed straight into surgery where medics had no choice but to slice away a six to eight inch chunk of her skull to reach her brain. They warned Danya’s family that even if she survived she faced being in a coma for six months. But the brave youngster woke up just nine days later and doctors began a painstaking series of operations to patch over the gaping hole in her head with an acrylic plate. Since then Danya has stunned medics with the pace of her recovery and seven months on she’s ready to return to Year 11 classes. The horrifying accident in February happened as Danya was listening to music though her headphones as she walked to school. She was knocked down by the trucker as she crossed the road just yards from her home. Mum-of-two Zarina emerged to fined “every parent’s worst nightmare” – her daughter critically injured in the road. Zarina said: “She left the house and I heard this awful noise. I just knew it was her. 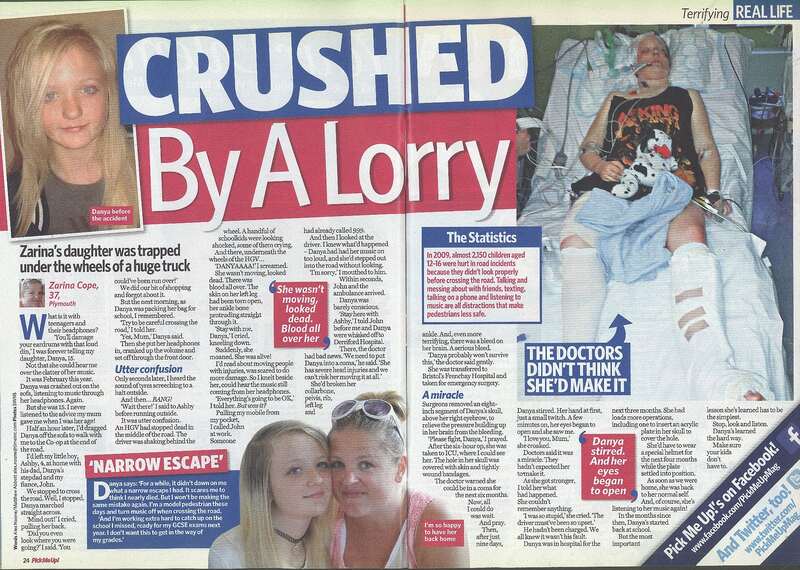 “She was under the lorry and she was making noises. She didn’t see it coming which probably saved her life in the way she fell. She doesn’t remember any of it. “She got taken to our local hospital but then flown straight up to Bristol Children’s Hospital. 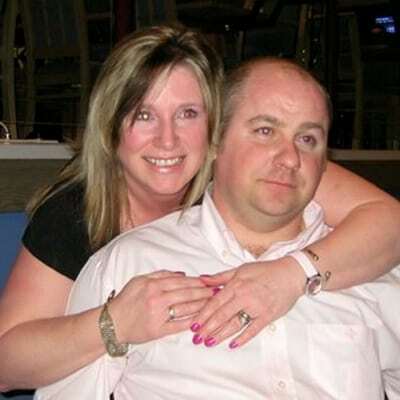 “When we got there she was already in surgery. One of the surgeons came out after about an hour and a half and said they had done the operation but said she probably wouldn’t survive. “It was awful. Just to see her underneath the lorry – you just think ‘is she alive or dead?’ “But to hear she might not survive – there are no words to describe how I felt. 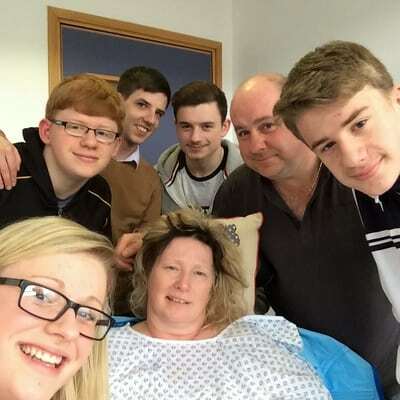 “They said she could be in a coma for three to six months. It was just like a waiting game of not knowing when she would wake up. But nine days later she did. 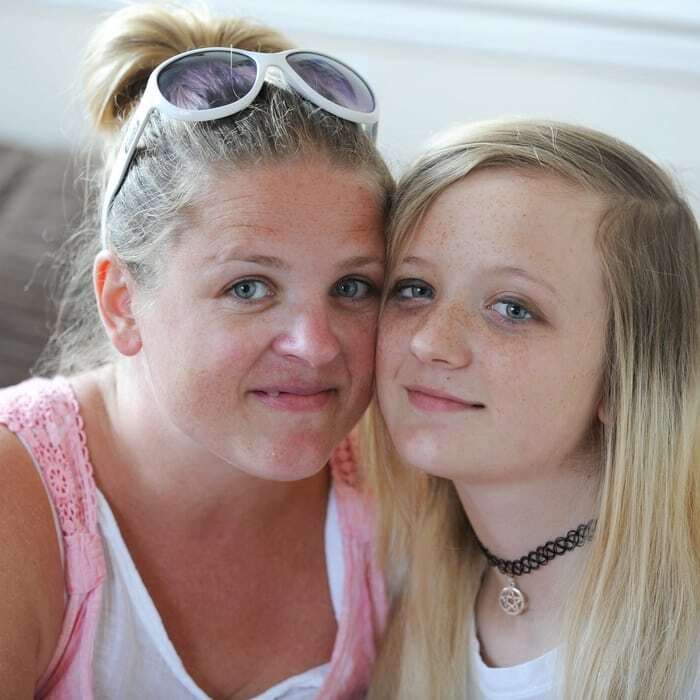 “The first words she said when she properly opened her eyes were ‘I love you mum’, which was so lovely to hear.” Danya was in hospital for three months and spent the summer wearing a special helmet to protect her brain. She has just come home from her final operation to have the acrylic plate fitted to her skull but already can’t wait to rejoin classes. Still a little swollen, Danya said: “It still feels numb but feels pretty much normal. It felt heavy at first. “The plate will mould into one with my skull. The stitches shouldn’t take too long to fall out and then there is just three months where I might be likely to get an infection, but after that everything is done. “My friends have all been amazing and supportive and I’m so glad I had them there. I can’t wait to get out of the house and back to school. “After all this, I would tell people to look when they cross the road. “I had my headphones in and was looking at my phone to pick a song. I must have just stepped out. That’s all I remember. “I broke my collar bone, one rib, had a fractured leg, pelvis and all the skin gone from my leg. “I had a skin graft from my foot onto my ankle where the bone was sticking out.” Zarina lives with partner John, 33, a plasterer, who has been Danya’s stepdad since she was six. The couple also have a son, Ashby, four.